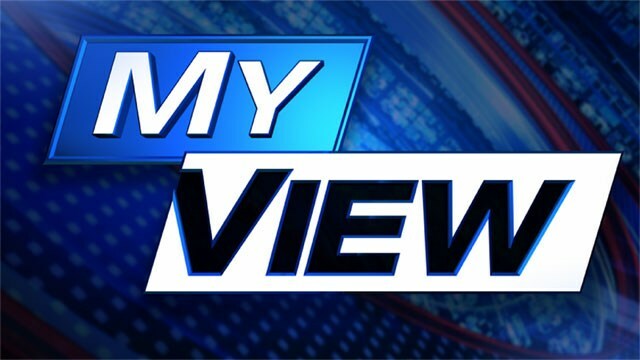 Alex’ view – What is wrong with Noah? Thanks for reading this first ‘editorial’ of mine. 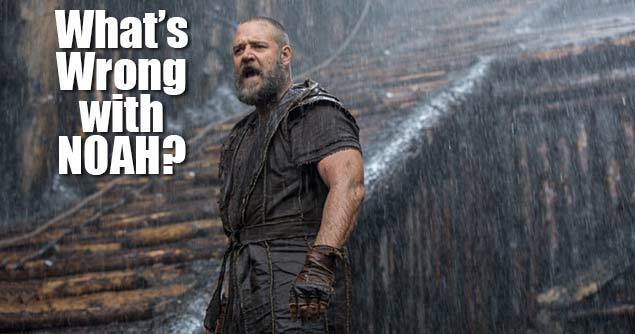 When I first heard of a new movie about Noah I was really thrilled. So recently I got the chance to watch it with my wife and I was really shocked what I was watching. Everything that you see and hear you should always be able to test it with the truth in the Bible. And before watching this movie it is very important that you read the real story in the Bible first as is it clear that the devil really tries to mislead people to take the truth of Bible and twist and lie around it! So I pray that you (not only with this movie) always ask God to let the Holy Spirit guide you and let you see the truth. Noah was helped by “watchers” that were in fact fallen angels. Noah was chosen by God to be saved from the flood, because he was still righteous in a time that the world was very sinful! To put Noah to work with fallen angels is such a lie, because that means that Noah wouldn’t be righteous. But even more important: Noah was the only reason to not fully stop mankind from surviving and that would make God make a human error. And God does not make mistakes! At the end of the movie the watchers get into heaven, because of their good deeds. Fallen angels are cast to hell, so their judgement has already been given by God. After we receive the judgement over our lifes, that will not be overturned as we see with earthly judges. God is a supreme judge and His “ruling” is made once and without error. In the Bible it is very clear that Noah, his wife and his three children with their wives were on the Ark. And what do we see in the movie? Only the oldest son goes on board of the Ark with his wife. What happened to the wives of the other 2? And the oldest gets to girls, implying that somehow the other brothers would eventually make families with these to girls? The grandfather of Noah is Methusalem and in the movie he is made a sort of sorcerer that helps the wife of the oldest son to not be barren anymore. First of all only God can make a wife that is barren to get pregnant. Making him a sort of sorcerer is again an attempt to bring the devil into play as a sort of saviour which he is not! Also Methusalem dies in the flood. So, you would ask, does it matter? Yes it doest matter, because his death is very significant. Almost 1.000 years before the flood mankind was warned for this judgement of God, so we as mankind had almost 1.000 years to repent and change! So if people call God a cruel God because of the flood, then they are mistaken and false! The reason that Methusalem is so significant, because his name in Hebrew means: “if I die it starts”. God made sure that he received this name, because on the day Methusalem died, the flood would start. So the devil lied in the movie by letting him die in the flood and not before it! The father of Noah, Lamech, was killed, while in the Bible it cleary states that he died at an old age. If he was murdered the Bible would have mentioned it! In the Bible Tubal-Kain is indeed mentioned as a descendent of Kain, but in no way he is part of the flood story, but all of a sudden he is part of the movie. Not only is he portrayed as a sort of protector of mankind with his speech before his people, but also he ends up on the Ark to kill Noah. What? God was very clear in the Bible who was on that Ark. Putting someone on the Ark from a bloodline (Kain) that was not blessed by God is giving honor to the devil and not to God. The bloodline of Kain was an important reason that the flood came, because mankind was very wicked in that time. The movie makes it seem that the time that Noah was ordered by God to build the Ark and the time the flood came was within a few years (the youngest son in the movie was only about 8 years), while in the Bible it clearly states that it was 150 years! Also Noah made all effort to convert people and get them on the Ark, but the people made fun of him and rejected Gods mercy! In the movie however it is portrayed as if Noah made sure that other people got no chance to get on the ark. False and a lie of the devil, they got all the chances! In the movie the snake gets a very big share of the attention, both in a the part where the animals board the Ark. Why a special part where only snakes (and lots of them) board the Ark other then to give attention and praise to the devil? The maker of this movie knows the significance of the snake in the Bible and I believe he did it to show alliance to the one he serves and that is not God! At the end of the movie the 2 baby girls of the oldest son of Noah are blessed by Noah and after it a rainbow appears. When reading the Bible you will soon see that this is also a huge lie although when watching the movie you would maybe not make much of it. But in the Bible it says that Noah came from the Ark and his first action was to build an altar and to give a sacrifice to God after which God made a covenant with Noah that He would never judge mankind by a flood and as a sign he made the rainbow appear as a sign of that promise. Also in this movie no praise is given to God and Noah is portrayed as a very wicked person. Both are very wrong and lies. I ask you not to watch this movie (by preference), because it is made to lie to us and give people the wrong information to try and get them away from God. But God will never fail! Please always read Gods word to test everything you see and hear in life. If it is not in line with the Bible then its wrong! Please also read: http://www.movieguide.org/news-articles/whats-wrong-with-noah.html . This website also shares some interesting points (and its where I got the title of this editorial 😉 ) on the subject.